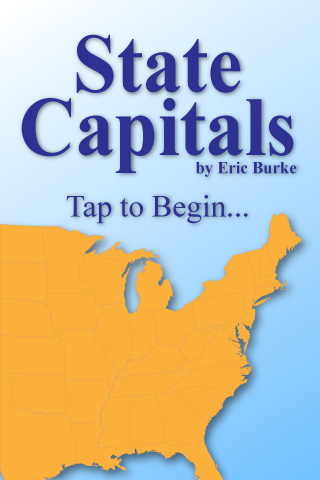 I just published a new version of State Capitals to the Android Market. If this were an iPhone app, who knows how long that process would take. On Android, the app is available within seconds of publication. This version features one bug fix and completely new graphics. You can find it on the Android Market under the Applications -> Reference category. The app does have menus to set configuration options, but everything else is through the touch screen. 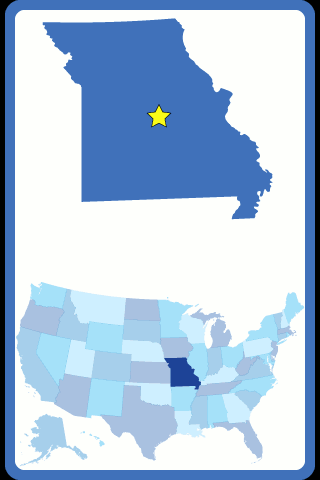 The new graphics show where the state resides and where the capital resides within each state. State Capitals is free (as in beer), and is also ad-free. Enjoy! Posted on Saturday, October 17th, 2009 at 1:24 pm in Android.